In past years, real-time location systems (RTLS) booths at Healthcare Information Management Systems Society (HIMSS) conferences were lightly visited by other vendors and curious provider representatives who happened to walk by. This year RTLS was a mainstream solution for the majority; it was a destination for many providers armed with a solid understanding and great questions about the use of location data to improve operations. Many of the people with whom we spoke were part of an organized internal effort to make this a priority for their organizations. 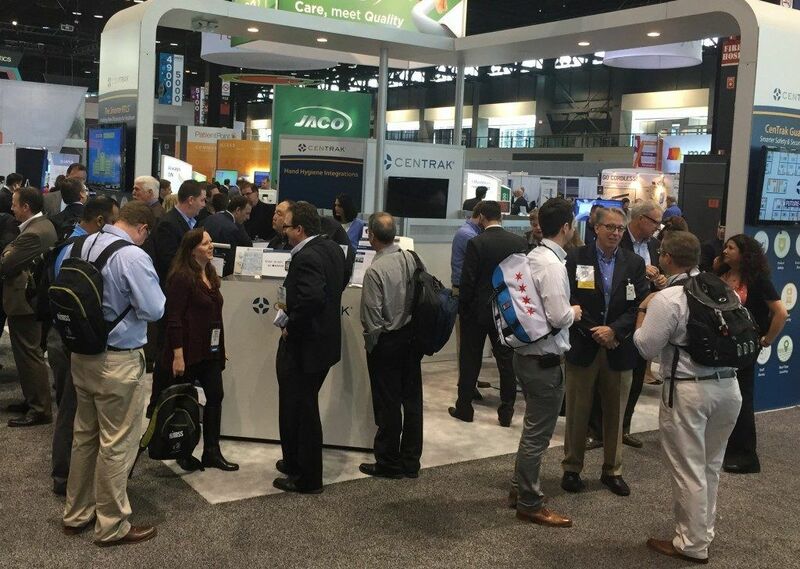 HIMSS 2015 marked the year when booth crowds spilled out into the aisles and, at times, was pleasantly overwhelming. In 2011, hospitals were primarily focused on transitioning their facilities to incorporate Meaningful Use, which is using certified electronic health record technology to improve quality, privacy and security, and reduce health disparities. With such a large undertaking, facilities were unable to commit to anything else other than their daily operations. Today, Meaningful Use has been achieved in many provider organizations and resources are beginning to free up for new priorities and projects. Provider organizations have never been more challenged to do more with less which has resulted in a growing interest in technologies that provide better visibility to operations and the means to process automation. The early adopters of enterprise RTLS are validating the possibilities. CenTrak offers mature, Clinical-Grade location technologies that are proven in widely deployed enterprise installations. This allowed our booth to share powerful stories about the achievements and vision of many organizations like Texas Health, The VA, and Wake Forest Baptist University Medical Center which were eye-openers for many of our visitors. Every day, CenTrak focuses on providing solutions to the inefficiencies that cause an estimated $750 billion in annual waste and needless suffering, as identified by the Institute of Medicine. HIMSS 2015 was a humbling validation of those efforts.